In this 2 day pastel workshop we will be exploring different ways to work creatively with photographs. 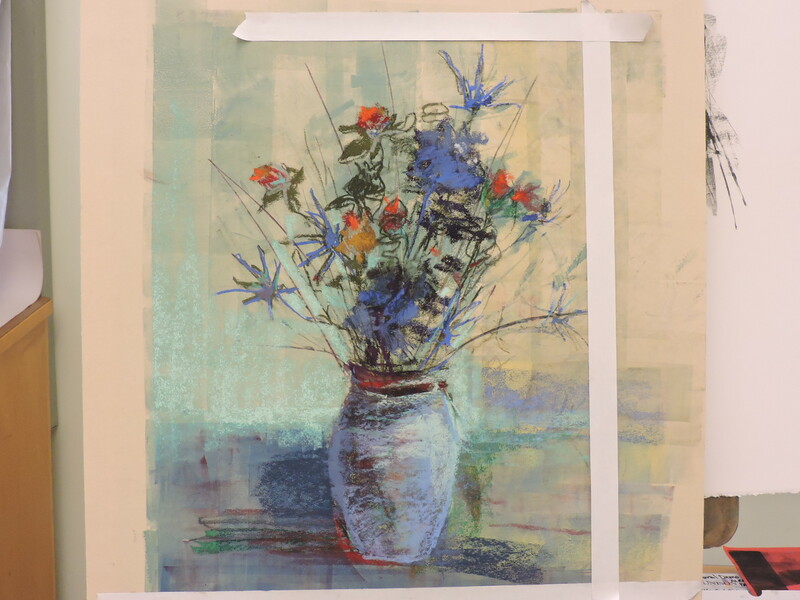 We will look at how to simplify and change a photograph into a better composition, and how to use elements from more than one reference when creating a painting. 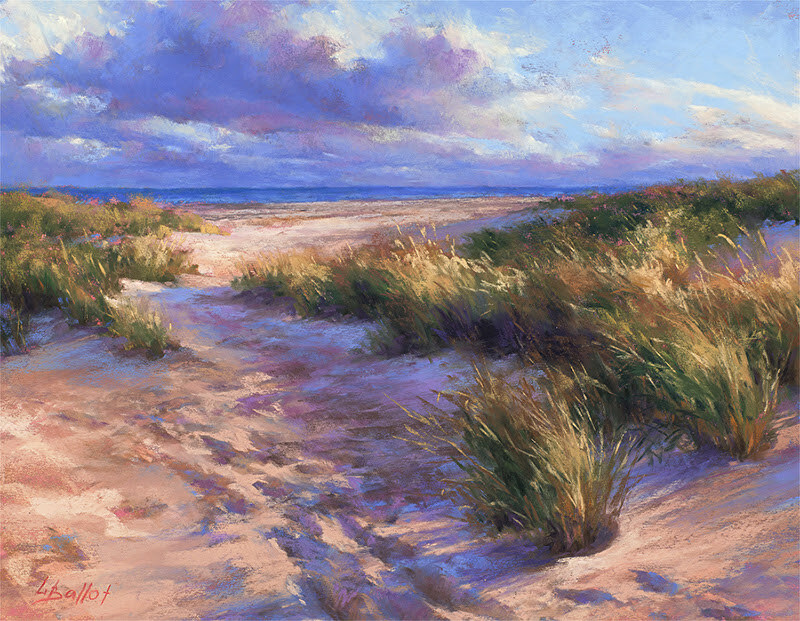 This workshop will examine how light affects color in landscape and seascape. 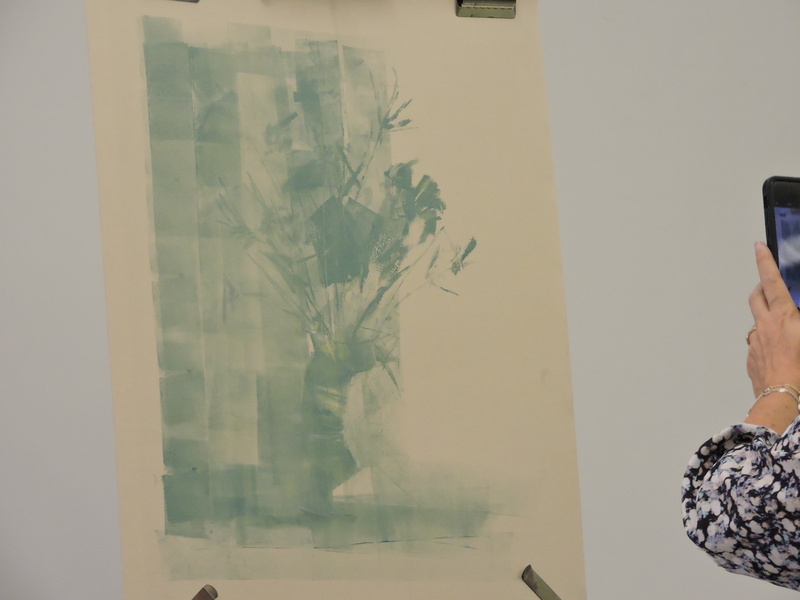 By making confident color choices, we’ll avoid muddy paintings. 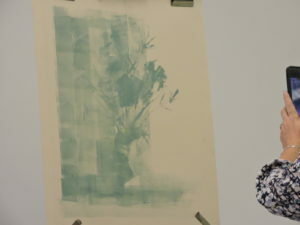 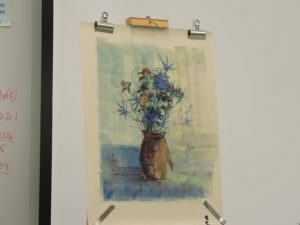 The demos will illustrate the advantages of color layering and underpainting techniques to create beautifully nuanced color, depth and texture. 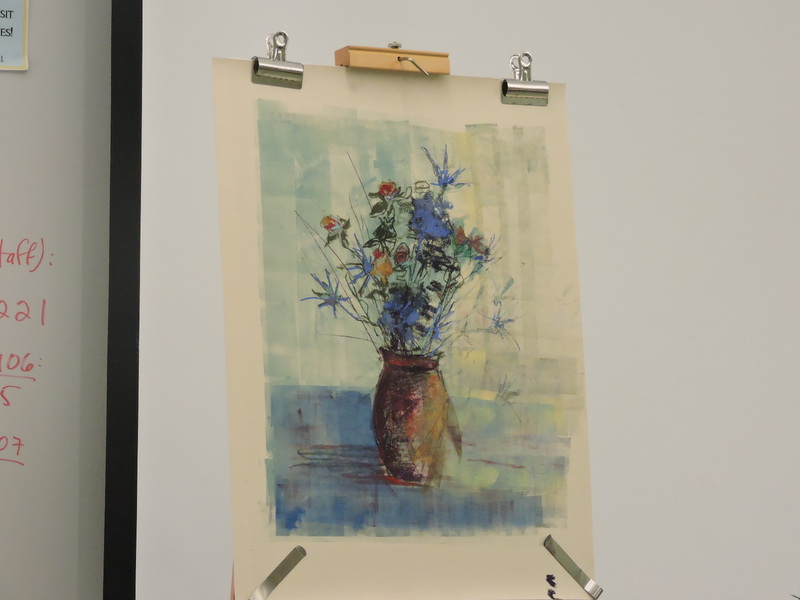 We will explore different color characteristics to improve the overall design and make a stronger visual statement. 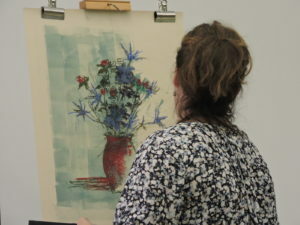 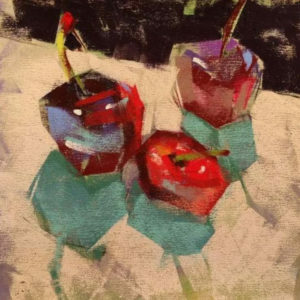 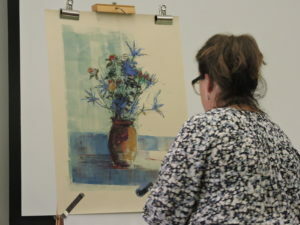 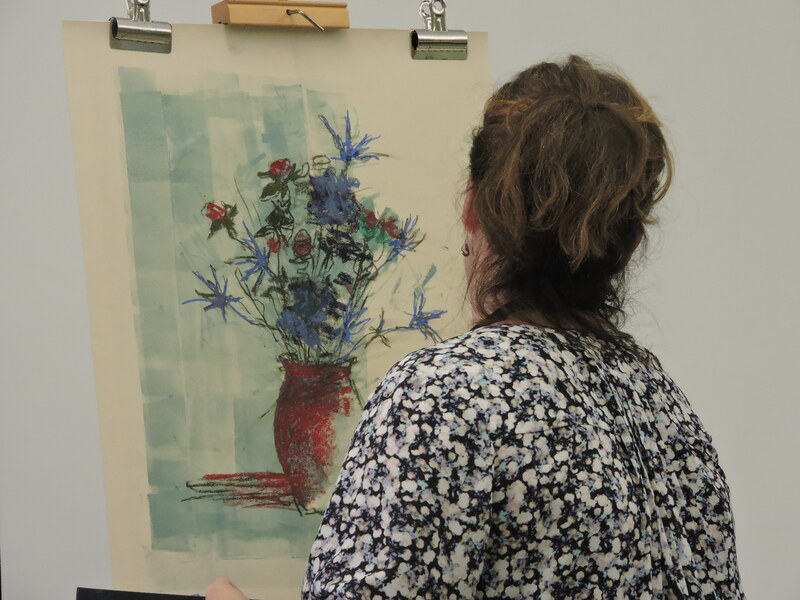 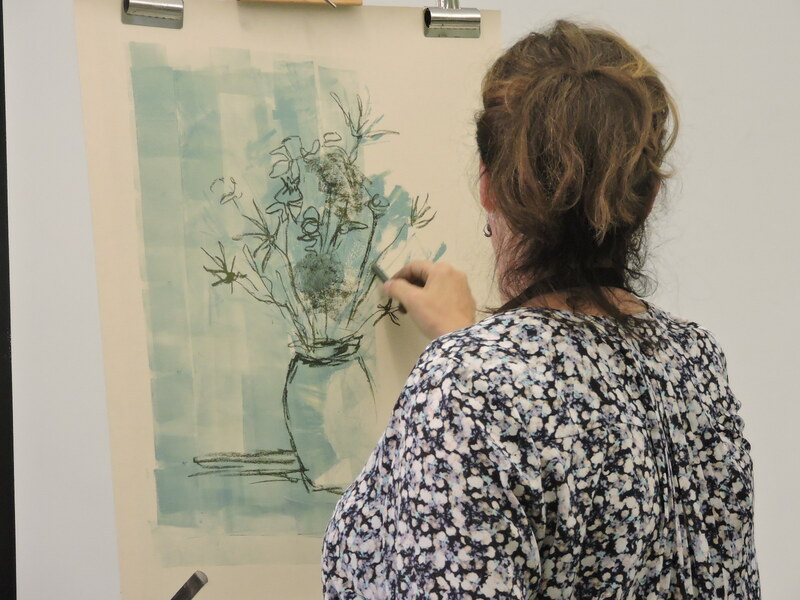 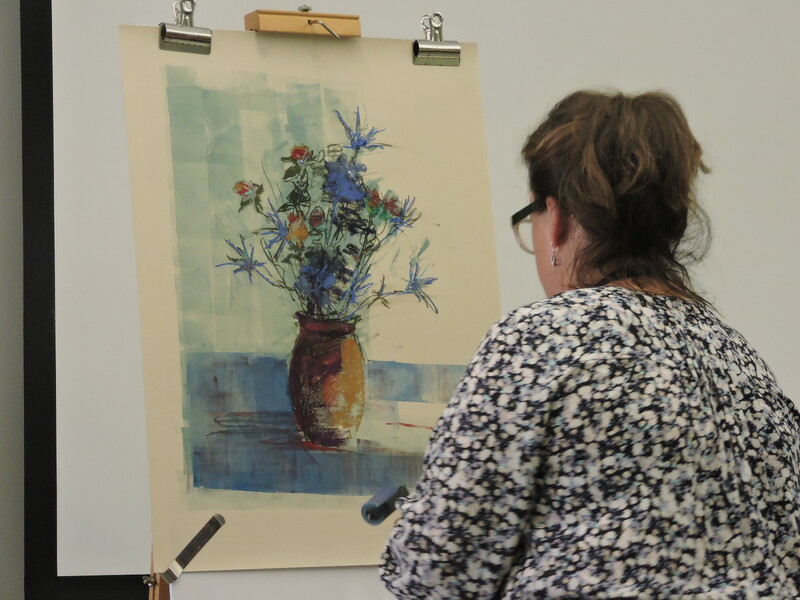 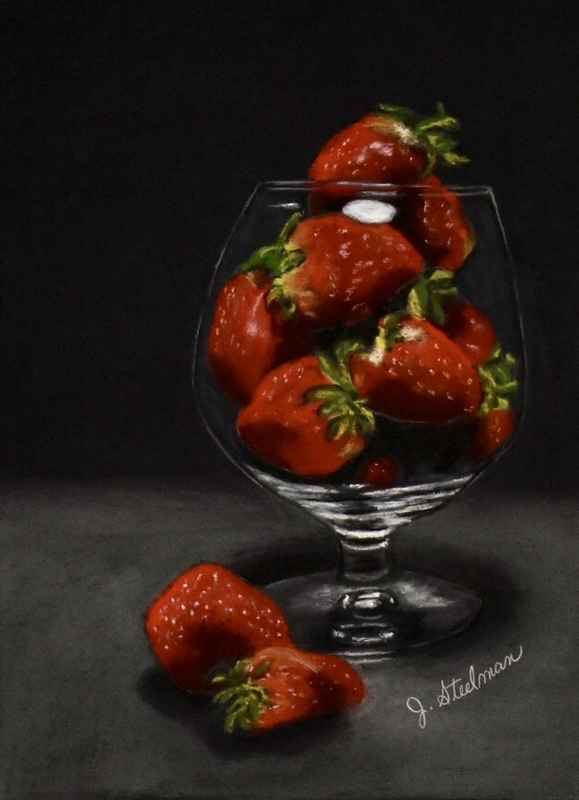 In this class you will learn to create a simple still life with pastels, exploring basic pastel techniques including blocking, layering, mixing, and blending. 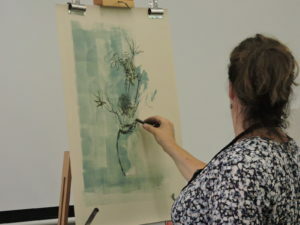 Reference photos will be provided. Thank you note to PSNC workshop Participants with notes and finished painting. 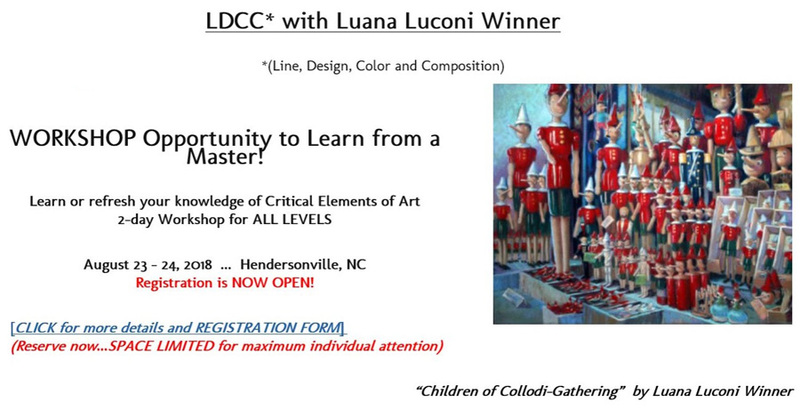 For more information visit Fort Mill Art Guild website. 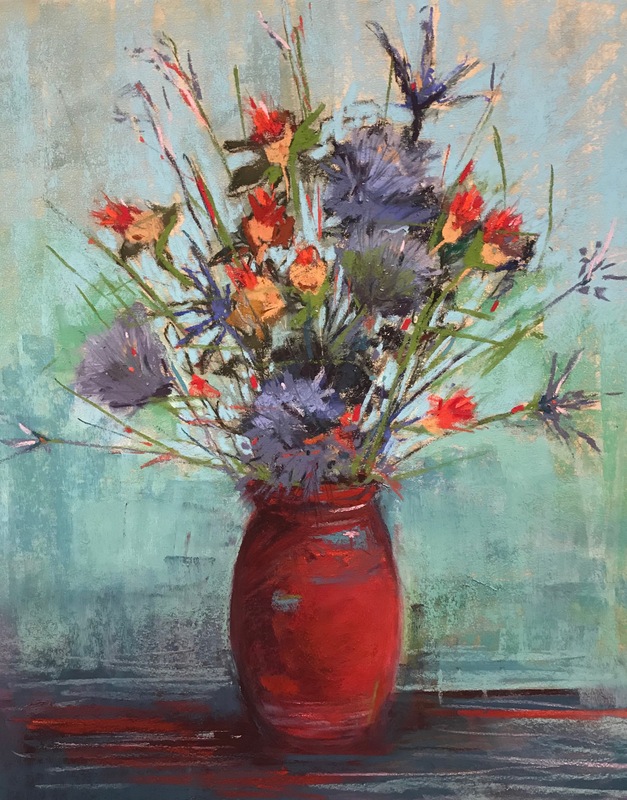 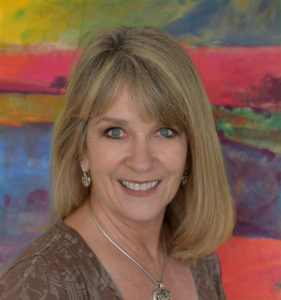 THE PIEDMONT PASTEL SOCIETY is proud to present Jen Evenhus for a Pastel Demo on Saturday, October 13, 2018 from 10:30-12:30 p.m.
Jen, a nationally recognized award-winning artist, is naturally drawn to patterns, shapes, and movement found in nature, cityscapes, interiors, figures and everyday objects, translating those into unique works of art. 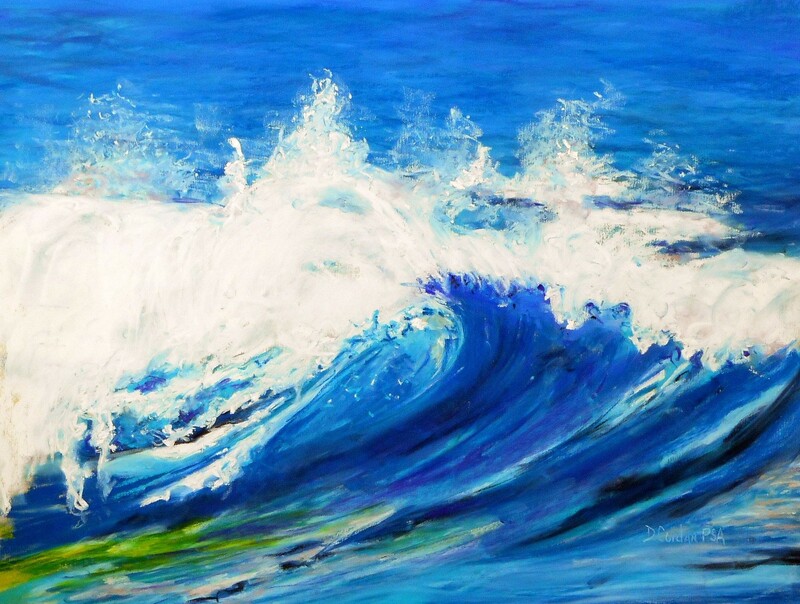 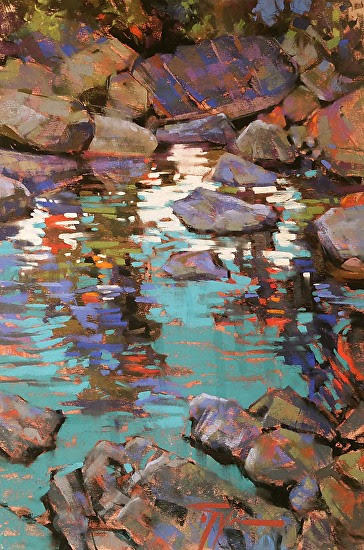 Jen captures their essence with simplification and exaggeration in contemporary impressionist and abstract paintings. 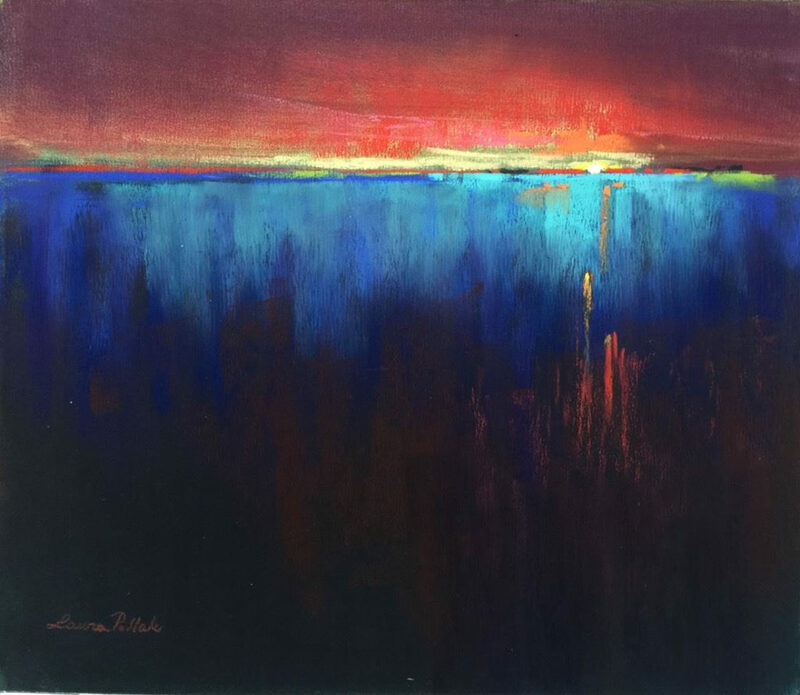 The process, or journey, of painting with the exploration, risks, failures and triumphs is her impetus in providing the viewer with emotions and memories that her contemporary paintings evoke. 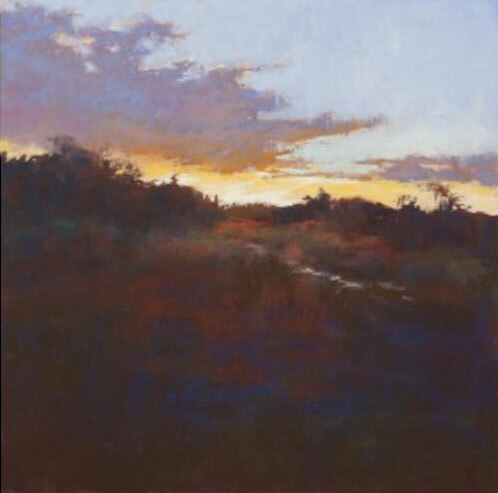 Jen’s work is recognized by its dynamic composition, bold use of color, and confident application of pastel or oil. 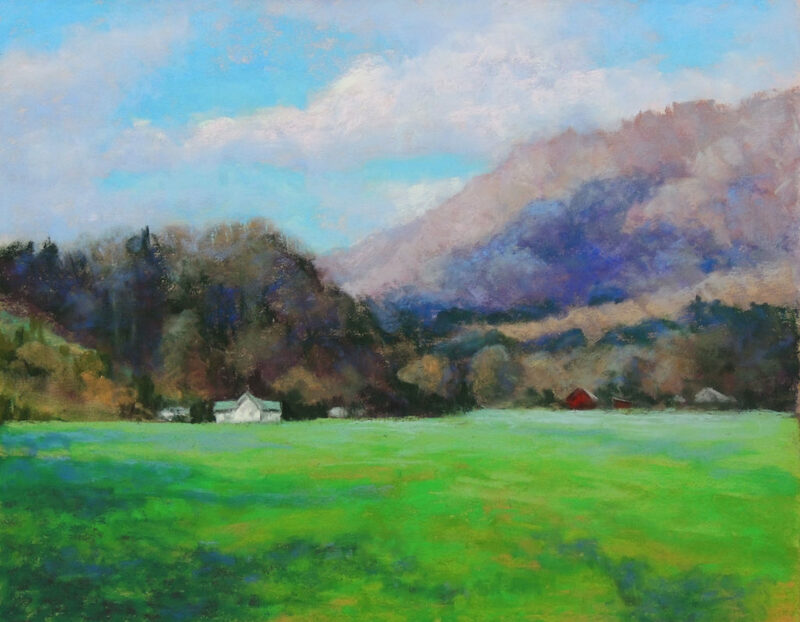 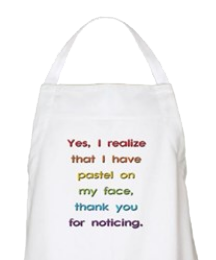 Consider joining the Piedmont Pastel Society and take advantage of the wonderful programs we host through out the year! 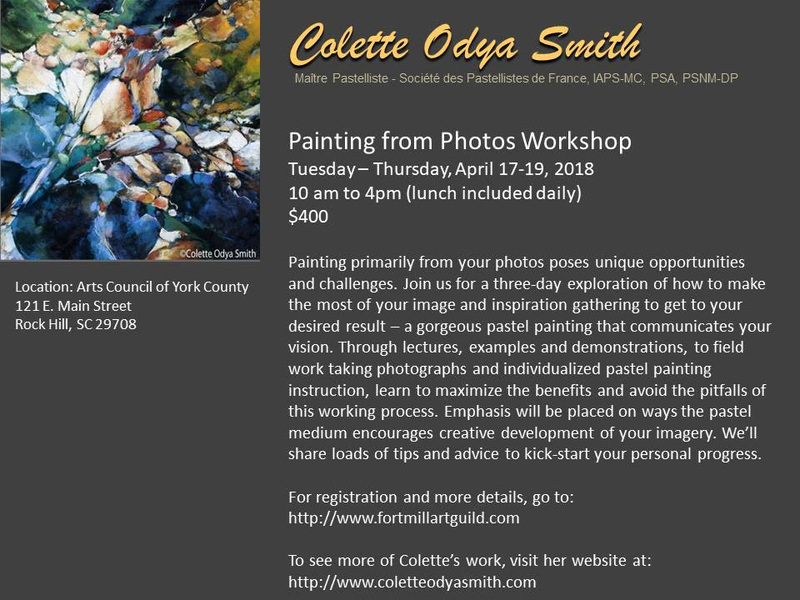 The following workshops will be held at the Arts Council of York County in Rock Hill, South Carolina. 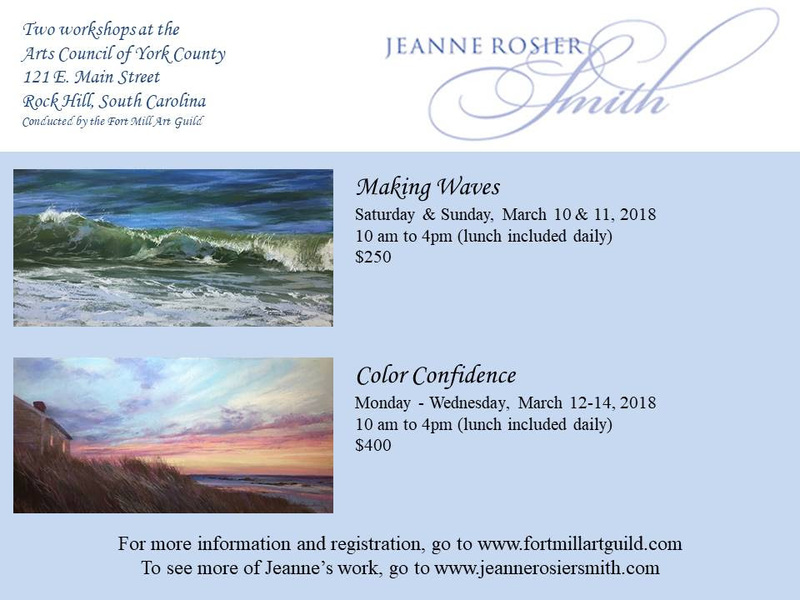 Two openings left in each of the Jeanne Rosier Smith Workshops. 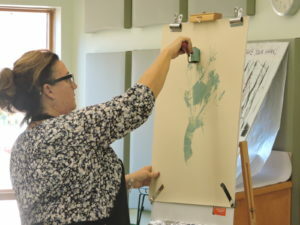 Class size is limited to 12 students, each with their own 6-foot table.